Cyber spies working for China are suspected of pulling off the massive data breach at Marriott, which involved personal data of 500 million Starwood customers, in an effort to gather intelligence on specific US citizens, according to a published report in the New York Times. In addition to Marriott, the cyber spies targeted health insurance firms and security clearance files to gather information. One key piece of evidence that points to China is that passport numbers and information on 327 million Starwood customers were part of the breach. This would allow China to create a database on US citizens that it wanted to track, according to the Times. 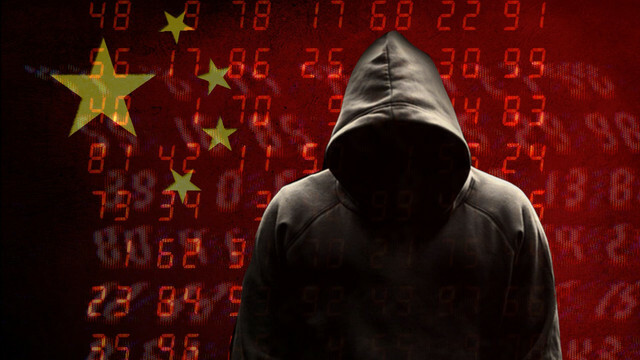 "Given that these attacks are most probably interrelated and from the same APT [Advanced Persistent Threat], the suspicion that the Chinese are attempting to build more complete personality, or psychographic, profiles of individuals is further credible and downright scary," Mukul Kumar, chief information security officer and vice president of Cyber Practice at security vendor Cavirin, wrote in an email to Security Now. "The potential damage is an order of magnitude more than simple hacks based on demographic data, giving a whole new meaning to the term 'life hacking,' " he added. The Chinese government denies that it orchestrated the Marriott breach. The Times report comes during a period of growing tension between China and the US on a range of issues, including cyberattacks, industrial espionage and trade issues. To bolster its argument that China is breaking the rules, the Times reported that the Trump administration plans to declassify intelligence reports, as well as criminal indictments, which show wide-spread spying and cyber espionage campaigns conducted by China. China is demanding that Wanzhou, who is also the daughter of the company's founder, be allowed to return home. She's now free on bail. There are no direct ties between the Marriott attack and these other incidents, but there's growing concern of what could happen next, especially with two nations that have an arsenal of cyber weapons at their disposal. Chris Morales, the head of security analytics at Vectra, which makes automated threat management tools, noted in an email that with more and more data being digitized, these types of attacks, whether from cyber criminals or nation-states, are only going to get bigger. "Part of the reason hacks are now getting so large is because the volume of data generated on the Internet every single day is so large," Morales explained. "Everything is digital. Just like a user would use a search engine to learn information, a cyber spy would want to search a massive online database for information. The difference is the databases used to gain information in this new form of cyber warfare happen to belong to private companies. Intelligence agencies love big data." In this specific case, however, Morales noted that identity theft is not the end goal. "A nation state actor would be far more interested in the intelligence gained on military and government officials who are patrons of the hotels," he added. "The Starwood and Marriott hotel chains have large federal contracts with many high-ranking officials staying at their hotels both domestically and internationally."